The purpose of annual club affiliation is for Tri NZ to gather up-to-date contact details to improve our communication with all clubs, it will take around 10 minutes to fill out and will require you to enter key club contacts (E.g. President name and email address). On completion of the form you will be emailed an invoice for the club affiliation annual fee of $250+GST. Triathlon NZ recommends that Clubs establish a president and secretary email address for the club, which can be passed on as these members change. ie president[triathlonclub]@xtra.co.nz. This will allow seamless ongoing communication. ensure all club Events are Endorsed or Sanctioned or otherwise approved by Tri NZ. Social membership does not cover one-day membership fees at any National Championship, Selection Event or Sanctioned/Endorsed Events. The social membership is designed to cover new entrants to clubs who may not be at event participation level or have limited access to club activity. e.g. belong to the club, do not do triathlon but turns up to swim squad etc. 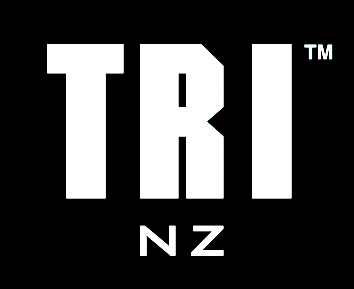 Do our non-triathlon members have to be members of Tri NZ? If you have a club that is affiliated with another national body i.e. Athletics NZ, only those members who are triathletes are required to be members of Tri NZ. However, the non-triathlon members must be members of the other national body affiliated with. All Club operated events will need to be endorsed or sanctioned. This is completed during the Club affiliation process. Club Event Endorsement is Health & Safety documents and event information for Tri NZ to promote the event. Documents are not additional but are what the club provide already to local councils during their event permitting process. Here is a checklist. Event with over 150 participants $250+GST for the first year of endorsement. Subsequent year endorsement fee of $100+GST, provided the event has minimal changes. Events with under 150 participants will not be charged an endorsement fee. NB: Tri NZ are open to conversations with events which are close to the 150 thresholds and want to ensure a practical approach is taken. • Event Series= an event that recurs at the same location, with the same health and safety and permitting plans. In the instance of a club running an event series as defined above, the endorsement would be of the entire series at the singular endorsement cost structure (per season). If your club runs an ‘event series’ that occurs on different courses and/or across different disciplines, each event in the series will need to be endorsed separately. All Tri NZ Sanctioned and Endorsed events are required to have One Day Memberships. However we recognise that this requirement has come into effect very close to the start of the 2018/19 season and therefore clubs are NOT required to implement this for the 2018/2019 season. This requirement will come into effect from November 1st 2019 for the 2019/2020 season. Further details and information will be provided as we near that time. Should you have any queries or concerns regarding these affiliation requirements please do not hesitate to contact us info@triathlon.kiwi.